MPTA will be following these bills and any others as the session continues. 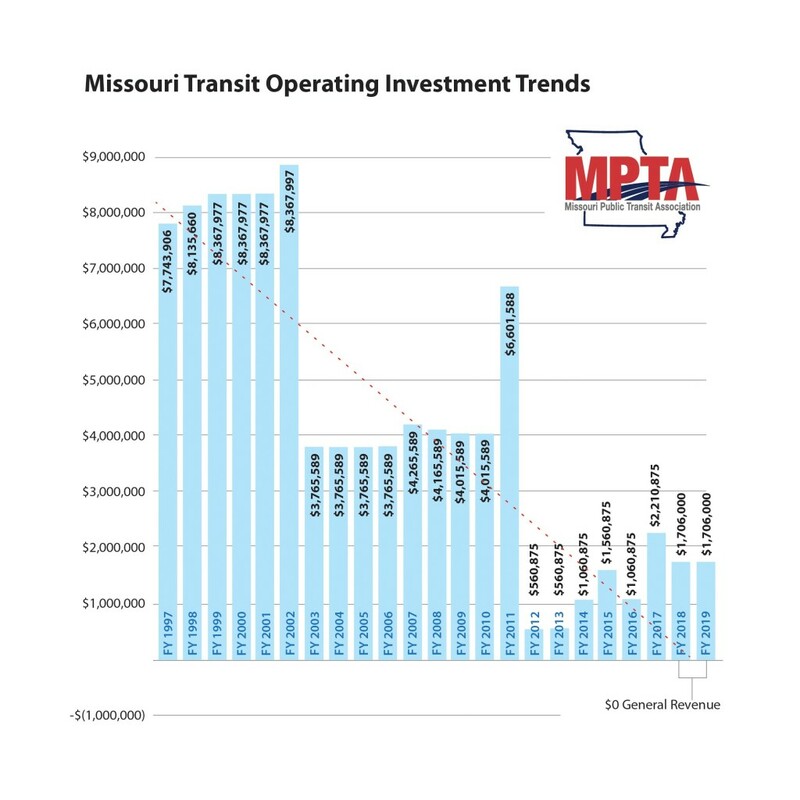 During the 2019 legislative session, MPTA will hold multiple legislative meeting days in the Missouri Capitol this year based on geographic areas. Each of these legislative days will have prescheduled visits set with lawmakers in the Capitol. Participants will receive talking points and updates on any bills prior to the meetings. In addition, participants will be asked to visit with their own representatives and senators to express the need for increased transit investment.